Carmel has a diverse background which includes strategic planning and investment for public and private infrastructure, extensive experience in justice and offender management and is an advocate for Women in Leadership. 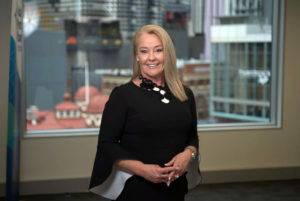 In February 2018 Carmel was appointed to the role of full time Board Member of the first Post Sentence Authority in Victoria. The Post Sentence Authority is responsible for independent rigorous monitoring of serious offenders on post sentence orders and oversight of Victoria’s post sentence scheme. Carmel is also a Director of the Sentencing Advisory Council and a former Member of the Adult Parole Board, a role she held from 2008 to 2017. Until February 2018 Carmel was Manager, Asset Planning and Strategy within Victoria Police. Carmel’s existing connection with Victoria Police strengthened when her husband, a serving Victoria Police Officer, was tragically murdered in 1998. Since that tragic time Carmel has built relationships and networks across the criminal justice system. Prior to re-joining Government in 2004 Carmel was an Associate Director with Sinclair Knight Merz, a global consultancy firm. If you, or someone you know needs help or information about drugs and alcohol there are many places you can seek advice. Subscribe to our alerts and newsletters and stay informed about our work including latest issues and happenings. Also receive information on the latest campaigns and receive invites to events.